Controlling access to your building and certain areas of your building is sometimes a major part of business management. Electronic locks enable you to do this if they are set up properly. One of the best systems for this is the proximity card. This is a card access lock system that will allow you to determine and set specific groups or individuals to enter areas of the building at predetermined times. You have card access control so you are able to restrict or allow access for personnel as needed. They will need a special card to enter the building and rooms, but this is part of the practicality of these security products. If you don't have a card, you are denied access. 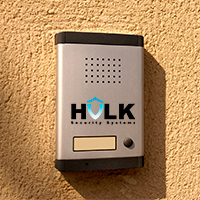 There are a number of different proximity card access systems available and Hulk Security Systems of NYC delivers all of them with expert installation and service that you can count on 24 hours a day, 7 days a week. Something as simple as a supply storage room can be a source of loss for a business. If too many people have access and they freely take supplies without logging it and sometimes taking them home. This is not really a dangerous or serious offense, but you can prevent employees from putting a strain on supply costs by having electronic locks installed with card access. Only a certain number of people will have activated cards for that room and those would be the employees that you trust.